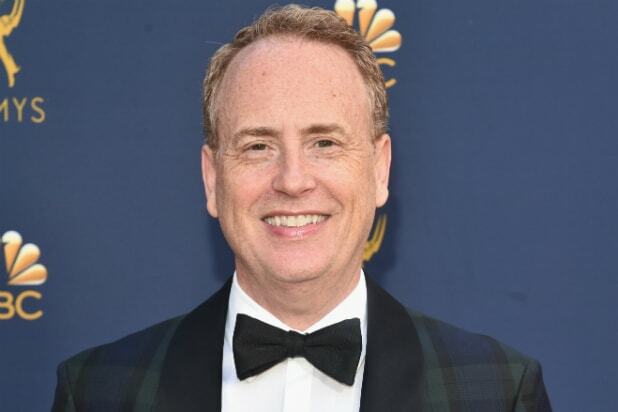 Former NBC Entertainment chairman Bob Greenblatt has been hired as chairman of WarnerMedia’s entertainment and direct-to-consumer businesses, where he’ll oversee HBO, Turner and the company’s upcoming streaming service. Additionally, CNN’s Jeff Zucker and Warner Bros. chairman Kevin Tsujihara are expanding their roles, WarnerMedia CEO John Stankey said on Monday. The additions in both personnel and responsibilities are part of an overall AT&T shakeup of its entertainment assets. Also Read: Hollywood Worries: Will HBO Still Be the Home of Prestige Television After Richard Plepler's Departure? Adding sports to his purview, Zucker becomes chairman of WarnerMedia news and sports while maintaining his title of president at CNN. Tsujihara will continue on as chairman and CEO of Warner Bros., and will also now oversee a new global kids and young adults business. Finally, Gerhard Zeiler is switching roles from his job as president of Turner International to become the chief revenue officer of WarnerMedia. Zeiler will oversee all the ad sales and affiliates. Below are detailed bullet points on how the shakeup will impact various departments. It’s a pretty handy cheat sheet for a bunch of moving parts. WarnerMedia News & Sports will include CNN Worldwide (CNN, CNN.com, CNN International, CNN en Español, HLN, Great Big Story), Turner Sports, Bleacher Report and the AT&T Regional Sports Networks. Jeff Zucker will continue to lead CNN and now run this expanded organization to capitalize on the importance of live news and sports content, as well as helping to build on the strengths of the company’s two industry-leading digital properties — CNN.com and Bleacher Report — to benefit consumers and advertisers in their respective market segments. Word of Greenblatt’s new role with WarnerMedia began trickling out last week, which coincided with the departures of HBO’s longtime CEO Richard Plepler and Turner president David Levy. Also last week, an appeals court blocked the Justice Department’s challenge to AT&T’s merger with Time Warner. AT&T closed the merger in June, only days after it received approval from U.S. District Court Judge Richard Leon on the $85.4 billion deal. At the time, Leon said he didn’t believe an appeal would be successful. Turner still has Kevin Reilly steering its programming side, including WarnerMedia’s upcoming streaming service, but it is HBO that will find itself in an unfamiliar position: Having to be more closely aligned under a large corporate umbrella. Though HBO has been owned by Time Warner for years, Plepler experienced a huge level of autonomy under former Time Warner CEO Jeff Bewkes, WarnerMedia CEO John Stankey signaled last year that things would be different under the new owners. Greenblatt, as a former entertainment of HBO rival Showtime, would’ve been Plepler’s boss. On the Turner side, Greenblatt and Zucker face a key sports rights deal, just as their main negotiator is exiting. Levy’s biggest contribution for Turner was on the sports side, where he negotiated media rights deals with the NBA and MLB, as well as its very successful partnership with CBS Sports for the NCAA Men’s Basketball Tournament. The company’s NBA deal doesn’t expire until 2025 and its March Madness deal goes until 2032, but its MLB deal is up in 2021. Right around now is the time that Turner and MLB would typically enter in renewal negotiations, which usually start two years out from the expiration. Turner renewed its last deal with the NBA in 2014, when that prior deal was set to expire in 2016. Last year, Fox renewed its own deal with the MLB through 2028. Greenblatt stepped down from his post at NBC in late September, with George Cheeks and Paul Telegdy taking over.